Yeah, we know Nein isn't really the number nine. We're not idiots. It's Hungarian for celery. We know! 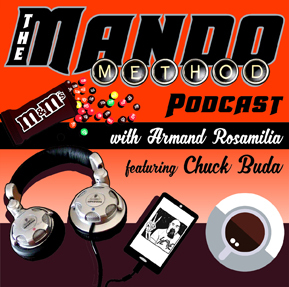 Regardless, The Mando Method Podcast co-hosts Armand Rosamilia and Chuck Buda dive deep into the listener questions again. Did they answer your question? Frankly, I don't even remember. Perhaps... Nein!